One plus one is greater than two. The StoreJet 25H3 combines the shock-resistant qualities with the 5Gb/s interface bandwidth of USB 3.1 Gen 1, allowing users to enjoy ultra-fast file transfers and the highest level of anti-shock protection. 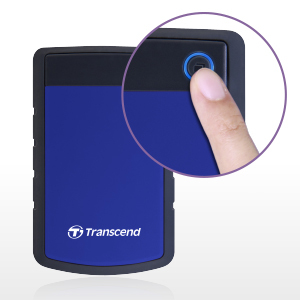 Transcend's StoreJet 25H3 features three-stage shock protection system to fully protect data stored in the drive. The three-stage shock protection system includes silicone rubber case, internal shock-absorbing suspension damper, and reinforced hard casing. 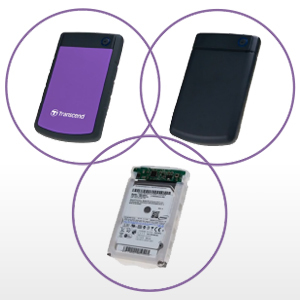 With up to 4B storage capacity, you can store and back up as many files as you wish. 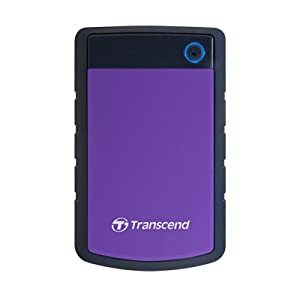 Take this on-the-go storage solution with you and enjoy peace of mind! The StoreJet 25H comes in three color options, including iron gray, baby blue, and military green. Pick your favorite color! 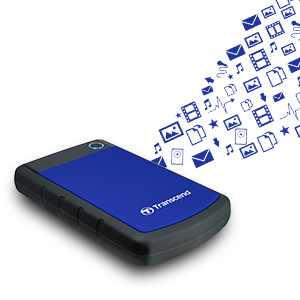 The StoreJet 25H3 is equipped with a multifunctional button that could instantly back up your data with just one press, or reconnect to the PC without any hassle to unplug and reinsert it. 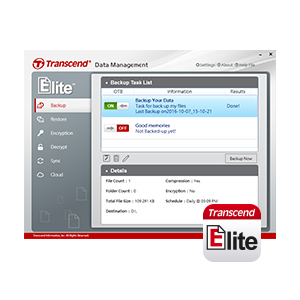 The StoreJet 25H3 comes with Transcend Elite data management software that can help keep important files organized, protected and up-to-date. Speed may vary depending on the device and usage of hardware or software.